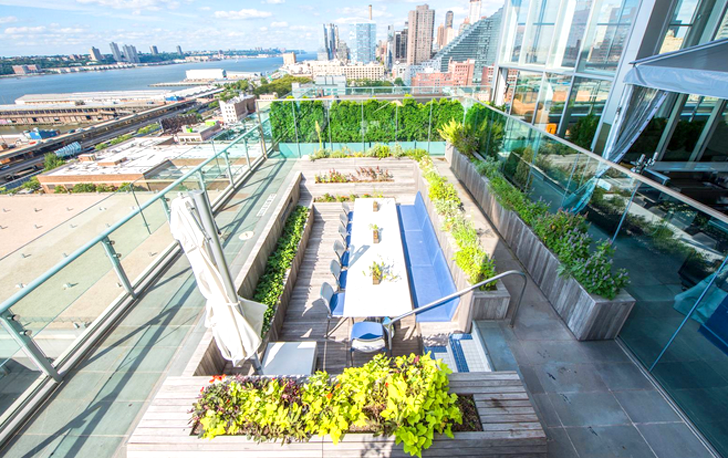 New York City’s Ink48 Hotel has taken poolside dining one step further by letting customers enjoy their meals inside of a repurposed pool. Called Pool Farm, the unique culinary experience even features veggies picked right from the rooftop garden’s plant beds. You can’t get food that’s much more local than that! New York City's Ink48 Hotel has taken poolside dining one step further by letting customers enjoy their meals inside of a repurposed pool. Called Pool Farm, the unique culinary experience even features veggies picked right from the rooftop garden's plant beds. You can't get food that's much more local than that!